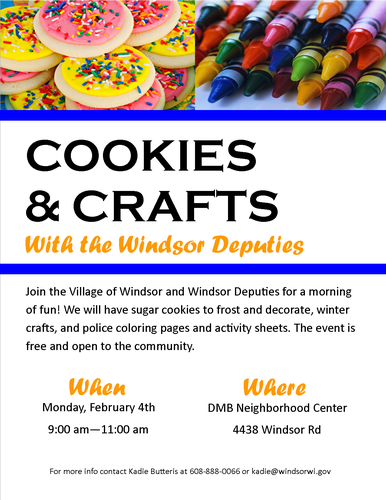 Join the Village of Windsor and Windsor Deputies for a morning of fun! We will have sugar cookies to frost and decorate, winter crafts, and police coloring pages and activity sheets. The event is free an open to the community.